I dropped by Trinoma months back with a friend when I found this lotion. I use leg foundation sometimes when I wear skirts or shorts. 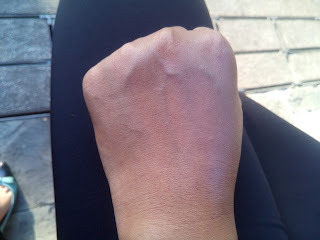 But I've also tried Moist lotion before, which I reviewed here. Because it was sticky, I stopped using it. 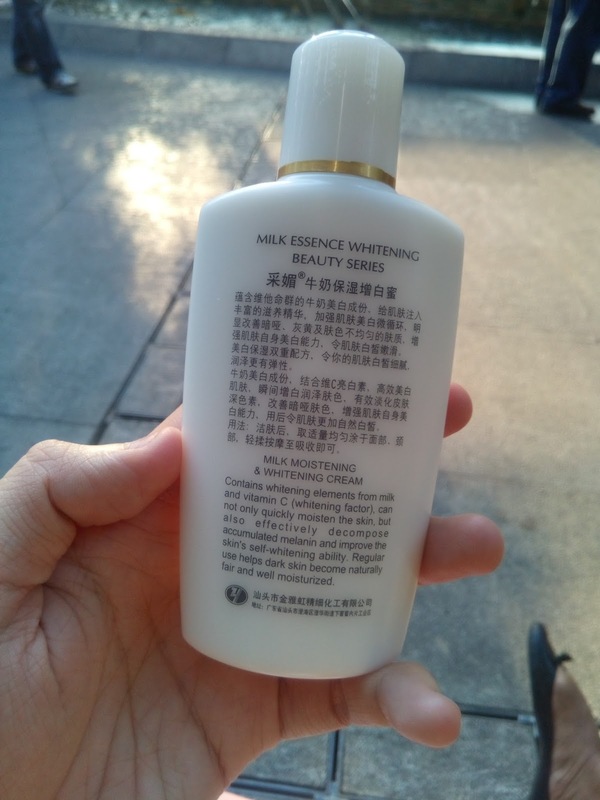 Until a friend recommended Milk Essence Whitening Beauty Lotion. I've seen other girls also use this on their face. But I am quite sensitive to thick consistency products so I will skip that. 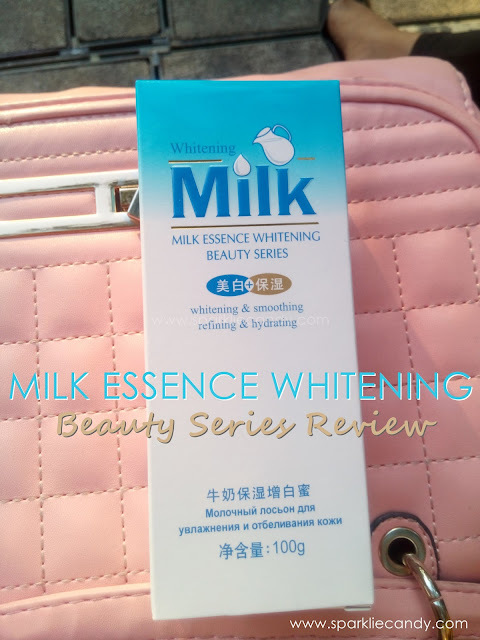 To put it simply, Milk Essence Whitening Beauty is an instant whitening lotion. You may read their description, this is the back of the box. Nothing much notable with the box, but there is no ingredients list. I can't see the manufacturing date but the expiration date is printed. The Milk Essence Whitening Beauty bottle. 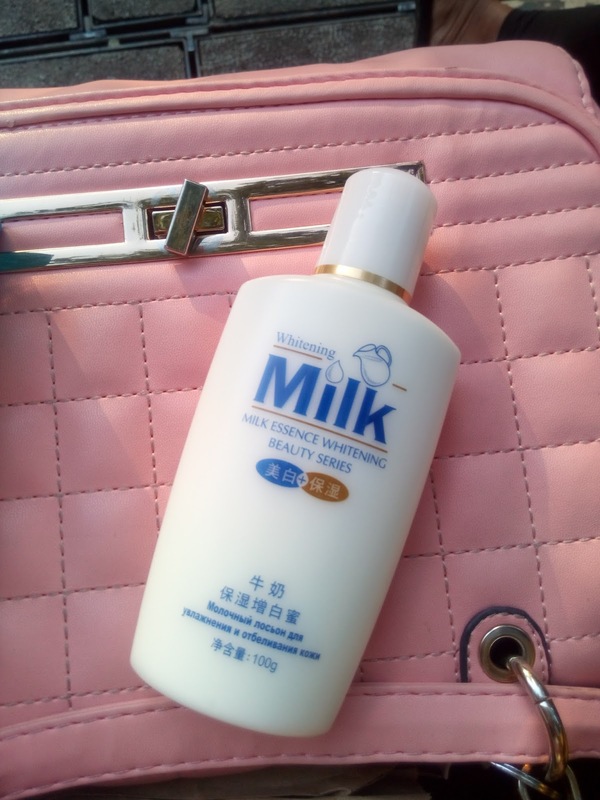 The bottle has nothing on it too, it says it contains vitamin C and milk, but there is still no ingredients list. 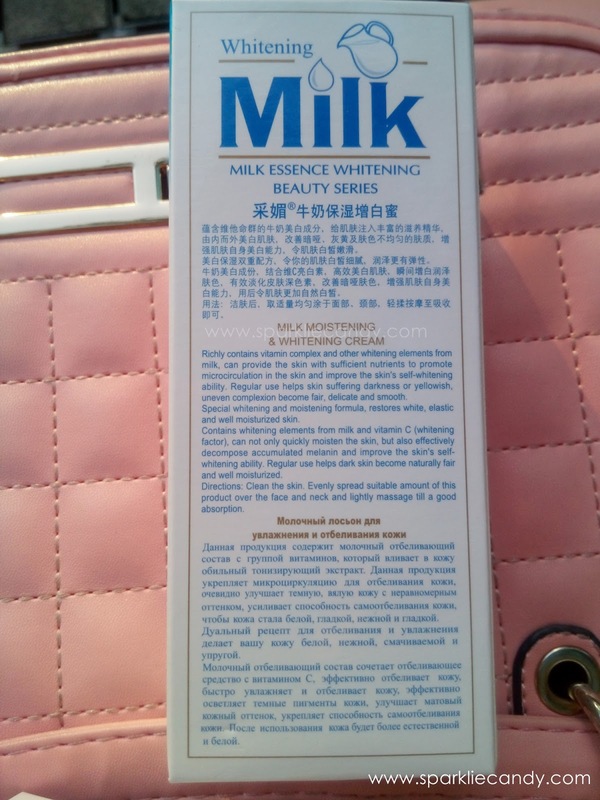 ExperienceMilk Essence Whitening Beauty is a pretty popular product, a lot are asking about it which is same with Moist Lotion. The product is fluid like and it can instantly whiten the skin. Yes its tinted and just like Moist lotion the effect is of course only temporary. 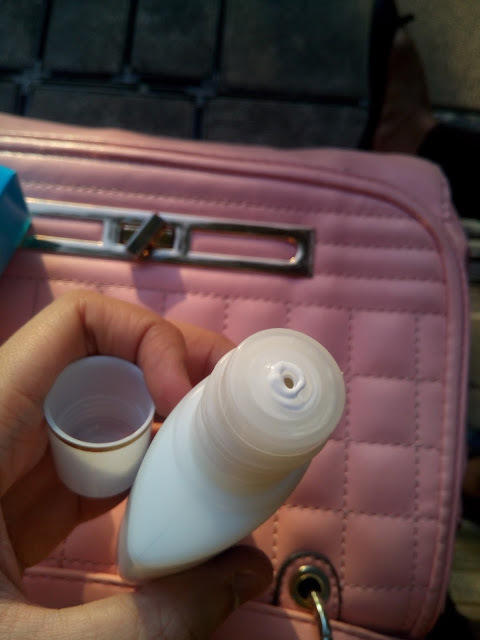 Its a bit sticky and not recommended to be used during humid days. If weather is okay, it stays the whole day until I wash it off. I actually needed to rinse it twice because one wash is not enough to remove the lotion. 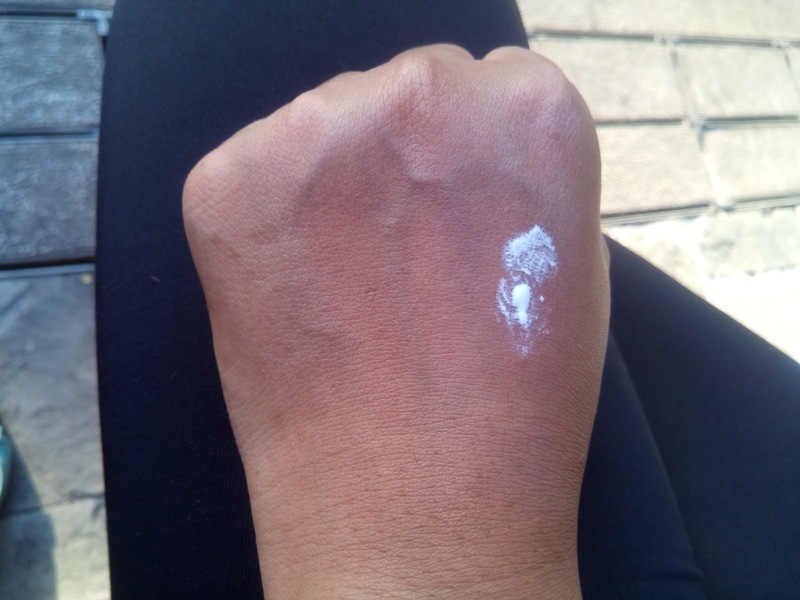 I like to use this when I wear shorts and I need that extra 'oomph' of glow. I do like how it makes my legs look fair. 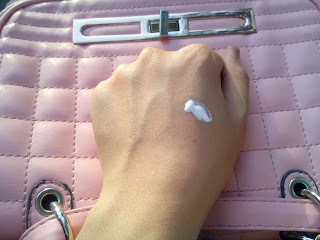 Luckily it doesn't transfer as much like moist lotion on clothes. 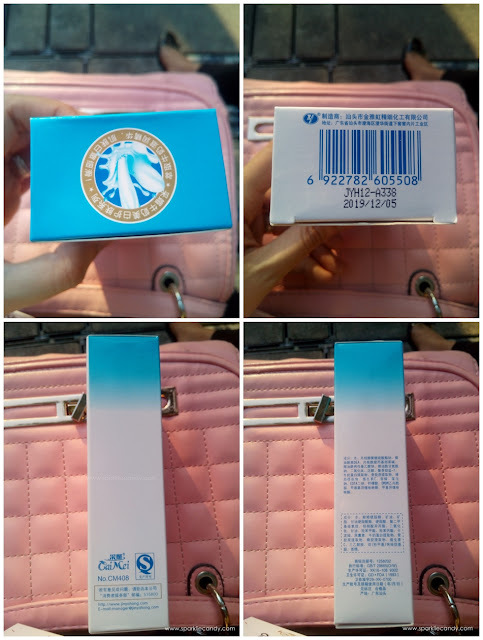 It says you can use it on the face but since I am sensitive to face products I would rather use it on my legs only instead. 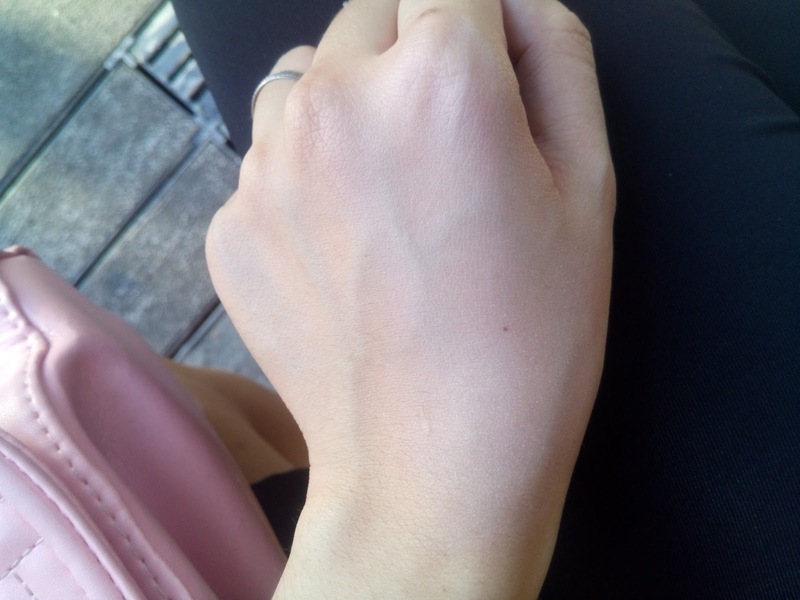 See the effect on pale skin, see how it brightens with a little amount of product. 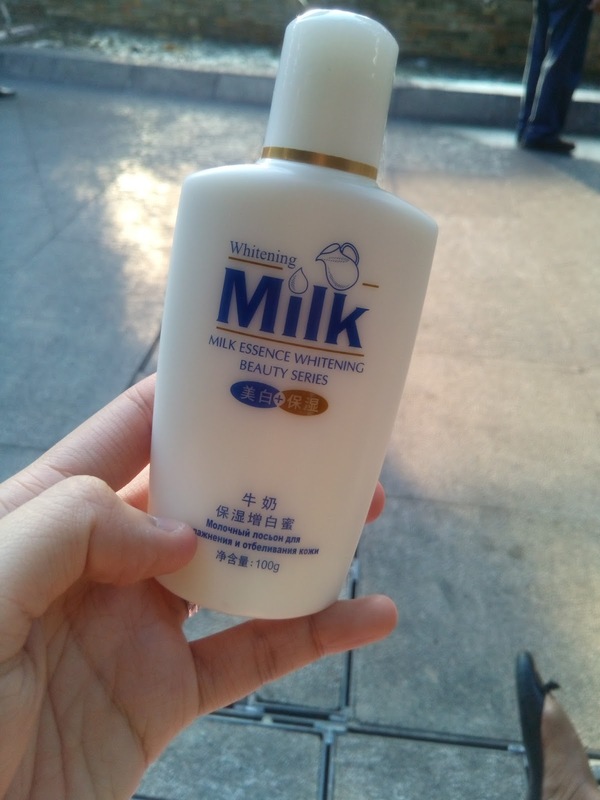 I think I got it for P160/100 ml bottle from Pop up store in Trinoma but I think you can also get it Lazada at P189. I've decided to use whitening soaps and lotions instead of tinted ones. Milk Essence Whitening Beauty Lotion good for instant whitening and I did not experienced irritation, however the ingredients is not listed nor the manufacturer's name which is the reason why I just cannot recommend it to everyone. You may use it at your own discretion especially if you have sensitive skin.